Early Academy provides skaters the opportunity to jumpstart their figure skating by teaching them skating skills in a figure skating environment. 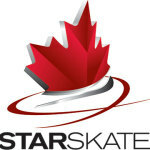 The program is designed to be a bridge between CanSkate and the Skate Canada StarSkate Program and taught during the junior StarSkate sessions. This program teaches children skating fundamentals including edges, turns, stops, spins and jumps. 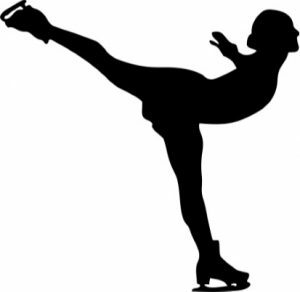 It is instructed by our certified professional coaches and skaters will receive 45 minutes of group lessons. Skaters skate a minimum of two 45 minutes sessions per week. 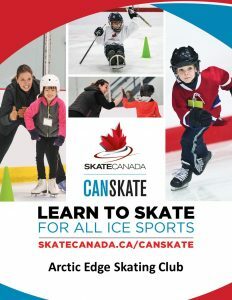 Entrance Into the Program: Skaters can enter the program after having passed Stage 3 badge of the Canskate program or by coach invitation/audition. Skaters who were in Early Academy program the previous year and do not wish to proceed to Junior StarSkate can continue in the program and will not require an audition. CSA approved helmets are mandatory for all Early Academy skaters. Early Academy skaters must provide and wear a CSA approved hockey helmet on the ice. Bicycle helmets are not permitted. No. Skaters must supply their own skates and a CSA approved helmet. How many days should we skate? For optimum development, we recommend two times per week. Skating is a sport where skills are learned by continuous repetition. The more times a skater can repeat a skill in a week, the faster they will progress. Parents/Guardians of skaters who join Early Academy will be required to work three bingos on Friday evenings held throughout the year between September to September of the following year. The majority of the bingos will be held during May to August. Bingos are a large source of fundraising revenues for the Club which help pay for coaching and ice fees.